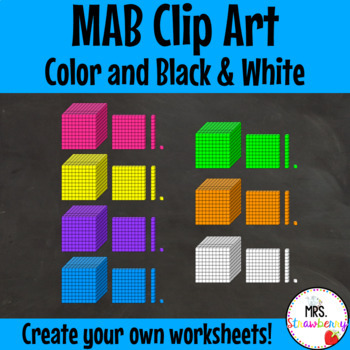 This zip file contains ones, tens, hundreds and thousands MAB clip art. Each one is provided in black and white and 6 other bright colours. Each item is to scale.